This is a selection of the music videos we’ve created in 2009. Belgian producer Bartosz Brenes and Russian producer Timofey shows what a multi-national affair of sounds can lead to. Russian, Belgian and Dutch sounds blend on 'Hear My Call', for which the guys teamed up with Dutch singer Jerique. A sensitive, melodic house track with contagious vocals is the outstanding result of their combined skills. 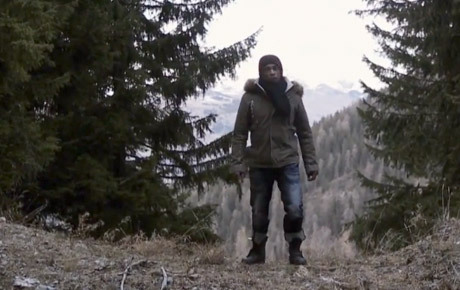 Dancefoundation created the official music video, recorded in the snowy mountains near Val Thorens. The re-launch of the Signum duo has brought nothing but good. A revival of the legendary producer-duo Pascal Minnaard and Ron Hagen, the guys behind ‘What You Got 4 Me’, ‘Push Through’ and the latter ‘Distant Signature’, was more than welcome to their loyal group of fans. This time, it’s the summer’s hot sun that have inspired them. Sunny guitar and a deep and relaxing progressive sound set forth a true holiday spirit, found in ‘Riddles In The Sand’. It’s the soundtrack to anyone’s Balearic dream: catchy, groovy and luminous. The track, which the Signum guys release under their Ron Hagen & Pascal M alias, already gave prominence to Armin van Buuren’s A State of Trance 2009 album. To complete the release, Signum made a very special, complementary music video to ‘Riddles In The Sand’. Check it and you’ll find out how slow motion can move you. It’s 9 years and a generation of trance lovers later, but the Gaia moniker of Armin van Buuren was never one to easily be forgotten. Complementary to the meaning of ‘Gaia’, mother earth in Greek mythology, Armin came up with ‘Elements’ in 2000. Earth, water, sky and fire were represented in this legendary trance track, which grew out to a true classic and therefore an essential piece of music in trance’s history. Sometimes a follow-up to a classic lets you down. But not in this case. A future classics lies in the hands of Armin van Buuren with ‘Tuvan’. With mysterious vocal effects, a ground-shaking beat and little techy-effects, this floor filler has a timeless sound. ‘Tuvan’ has been shattering across the global dance floors ever since it appeared on Armin’s ‘State Of Trance 2009′ album. And it’ll surely do for generations to come. Dancefoundation produced the official music video, which was recorded as a part of the ‘Summer of Armin’ series for Armani Exchange at the Kazantip festival in Ukraine.